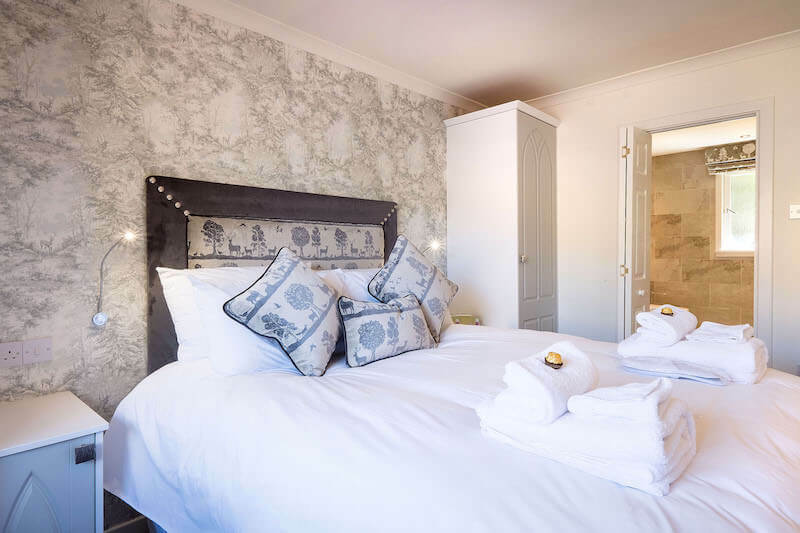 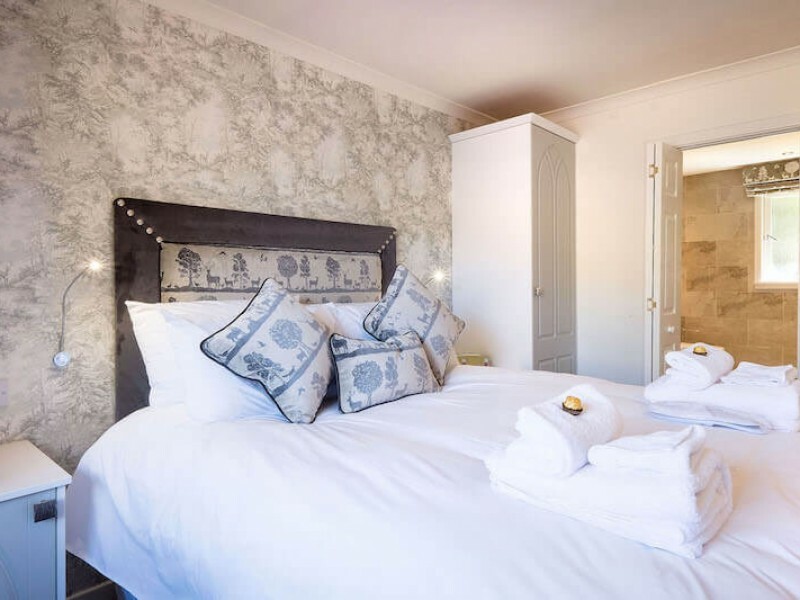 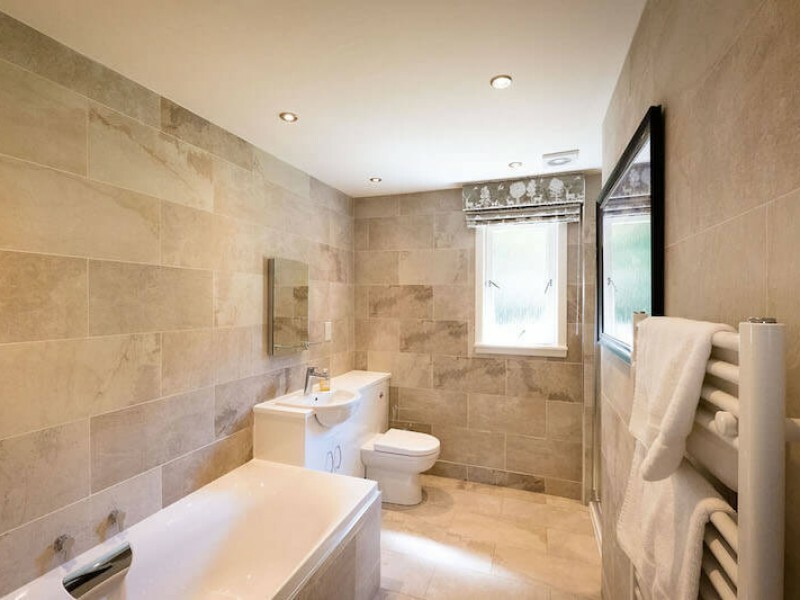 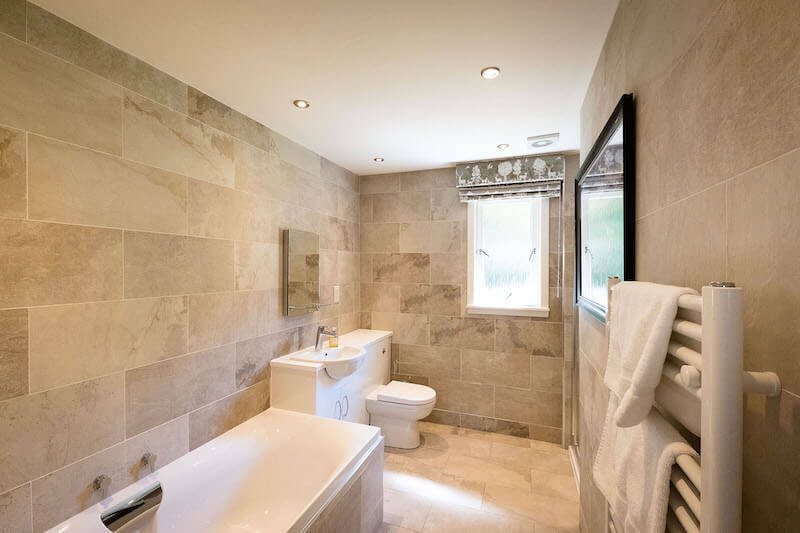 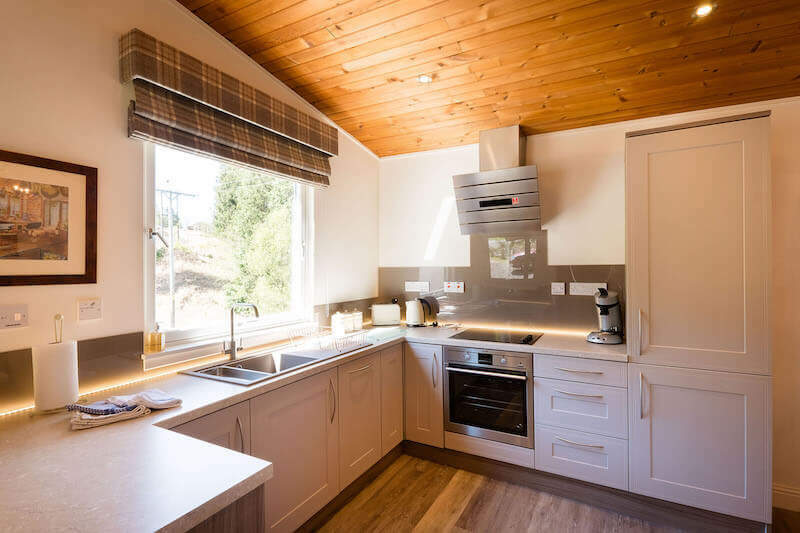 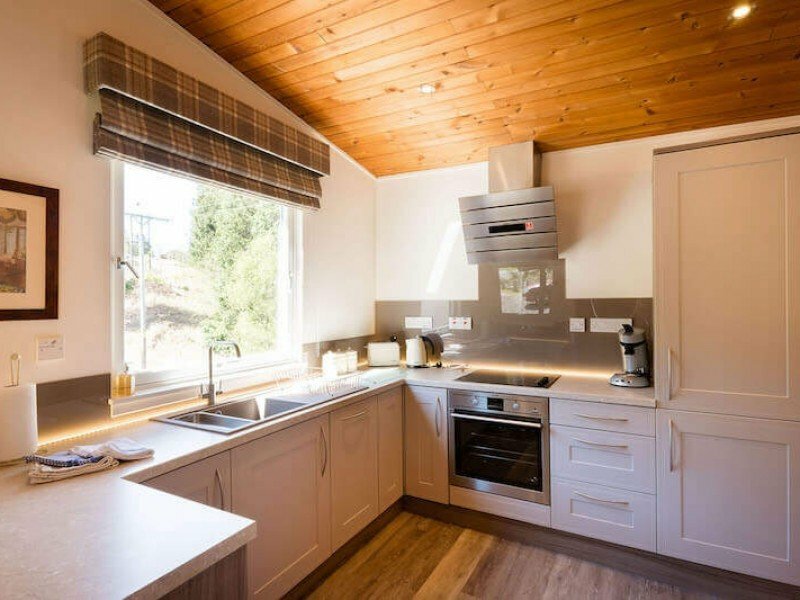 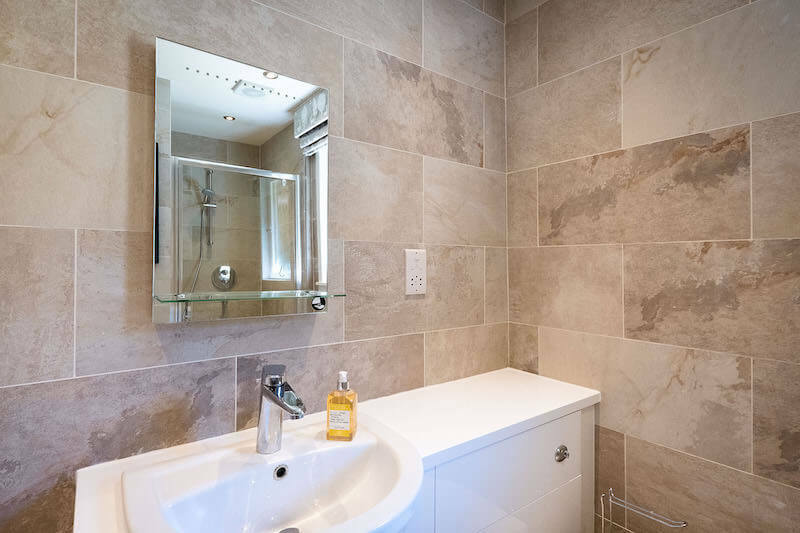 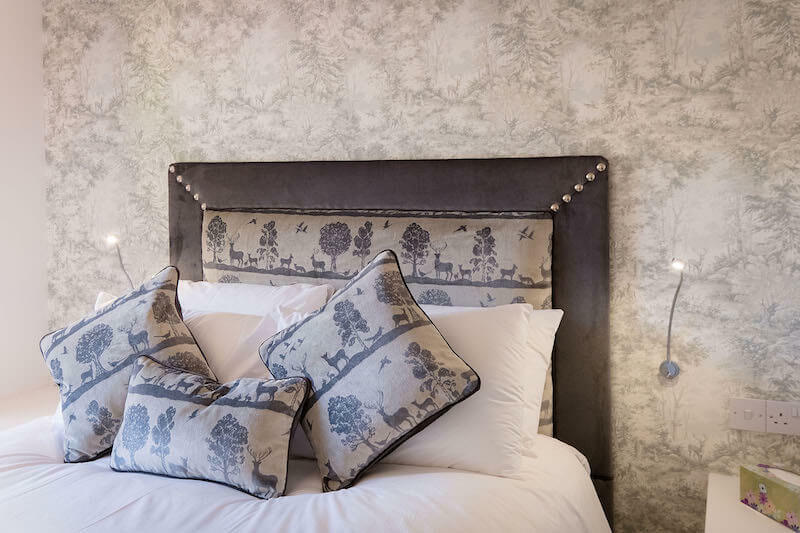 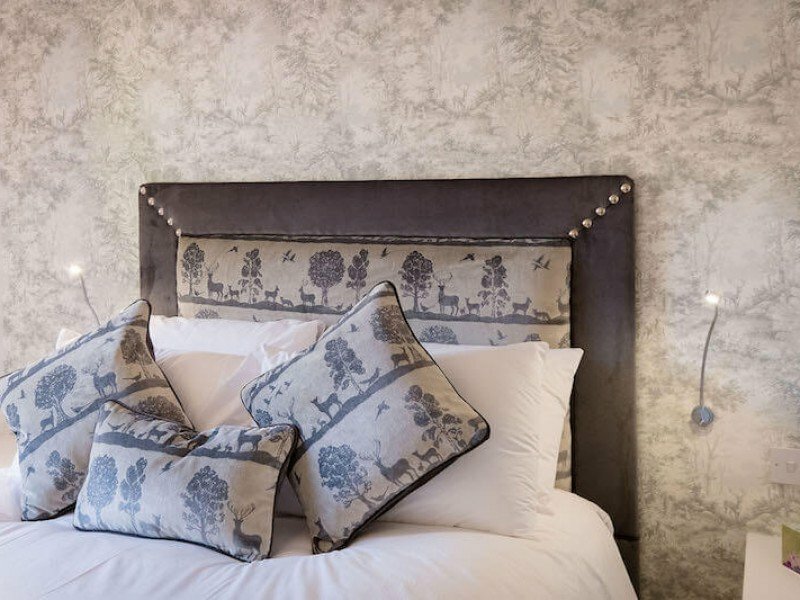 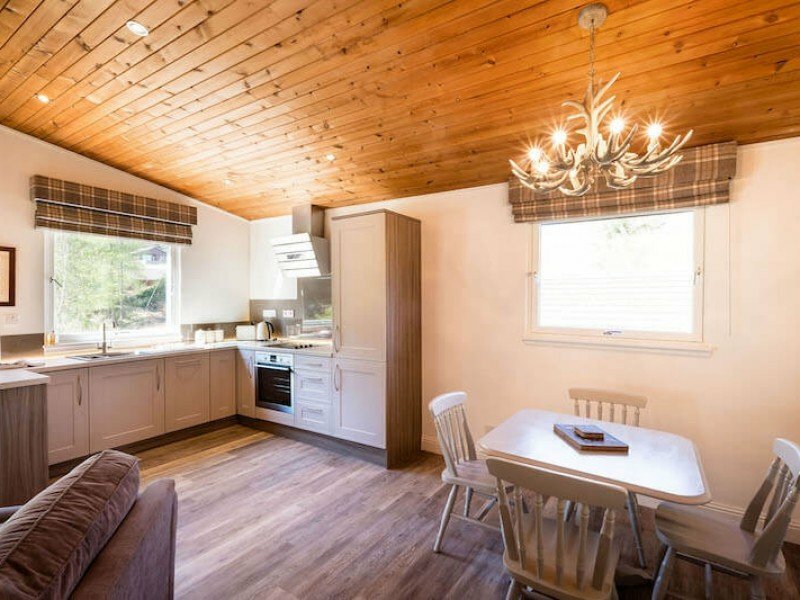 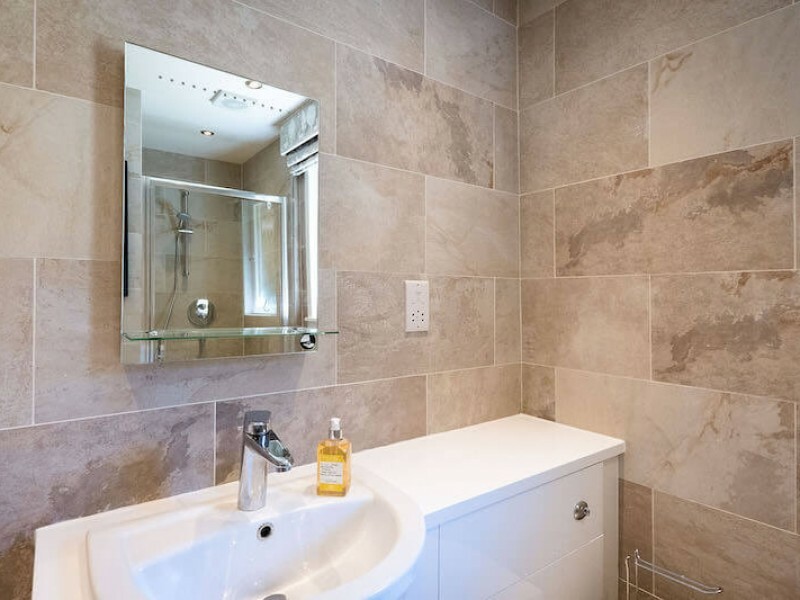 Deerstalker has been newly refurbished bringing a 1 bedroom, 5 star property to the Portnellan portfolio and designed to be exceptionally spacious and comfortable with a level of luxury complimented by the detail in the fixtures and fittings. 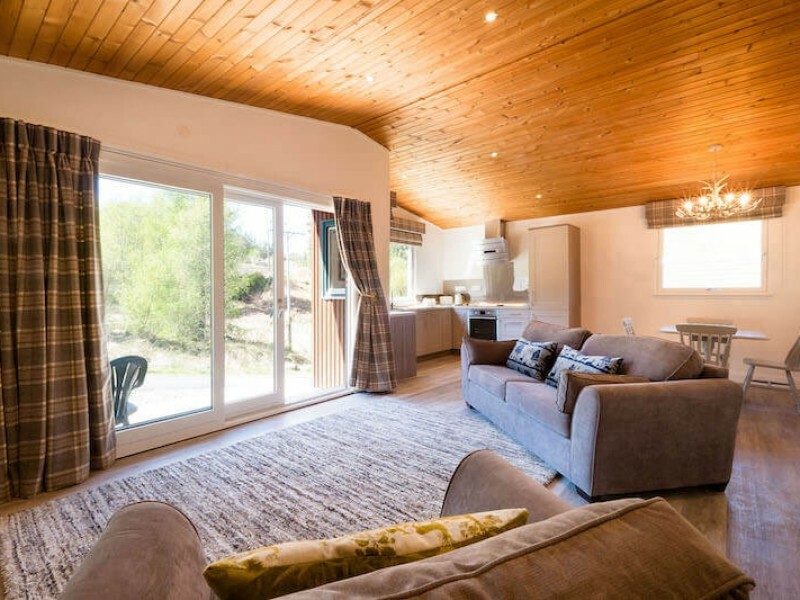 The moment you walk through the large glass sliding door leading from the private patio with garden furniture it is clear to see that the layout and design has been well thought out bringing a home from home feel and tastefully thought out to the highest of 5 star standards. 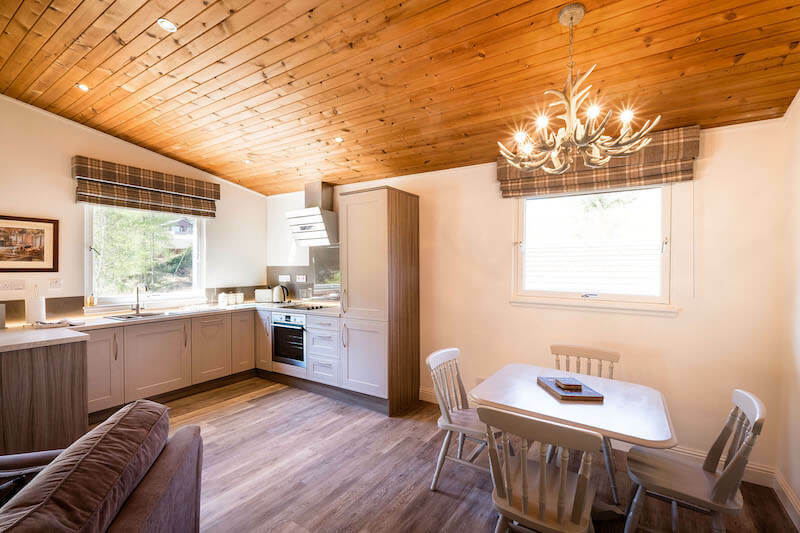 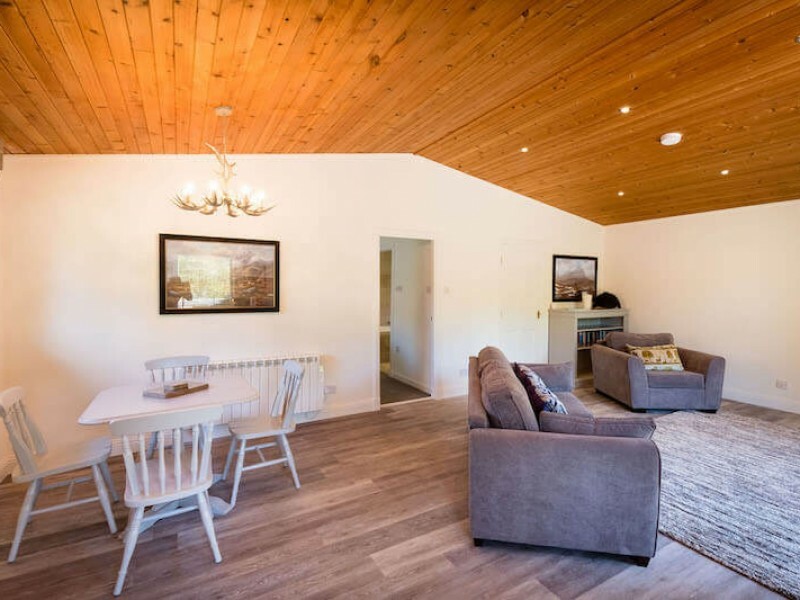 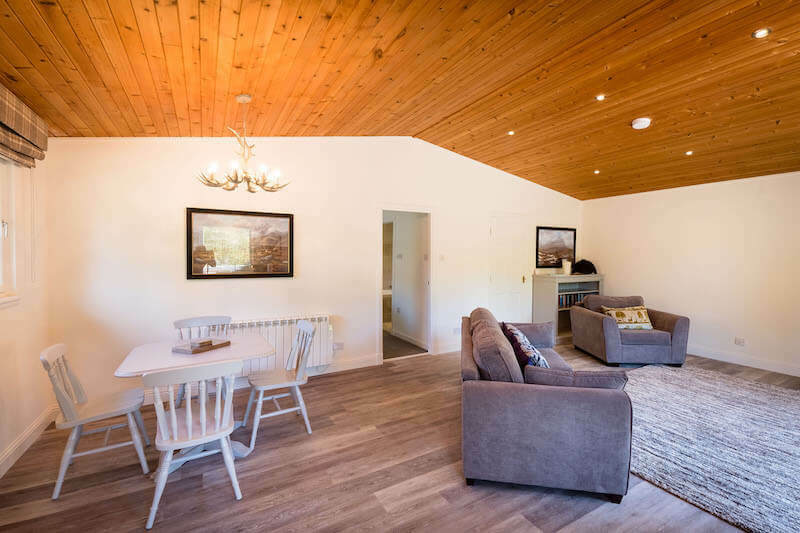 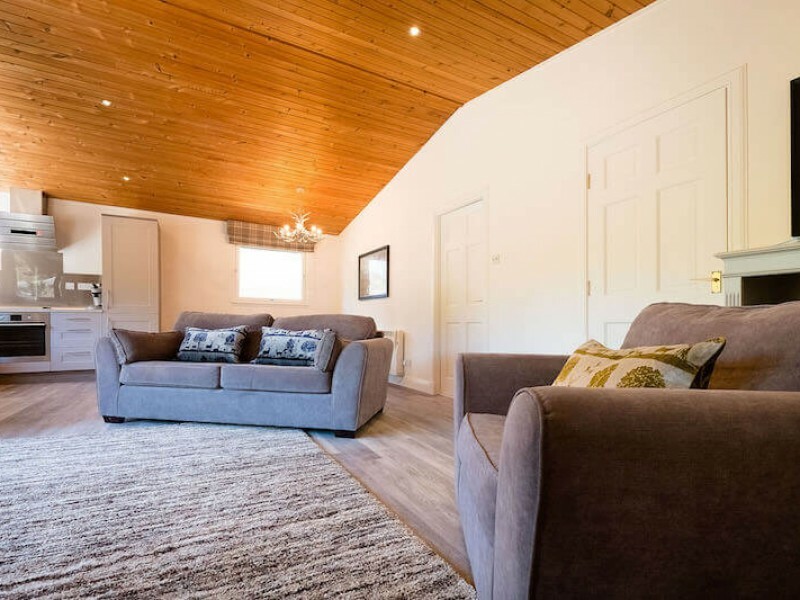 Deerstalker is a property on the beautiful Portnellan Estate which is delightfully located within the heart of the Highlands of Scotland. 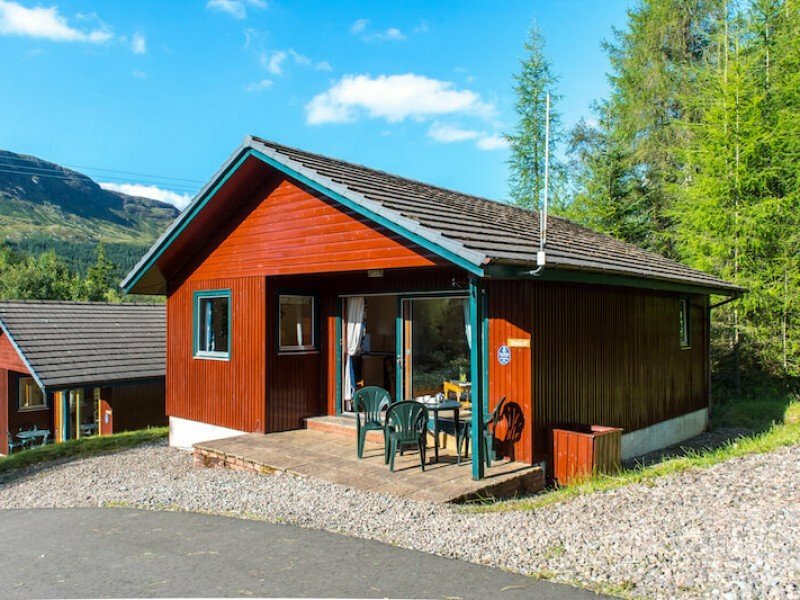 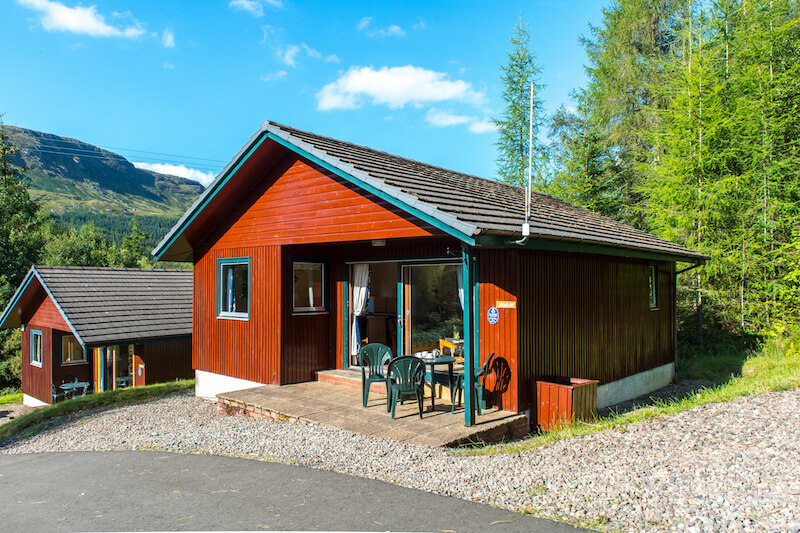 As you would expect the surrounding are breathe-taking with awe-inspiring views of loch, glen and mountains. 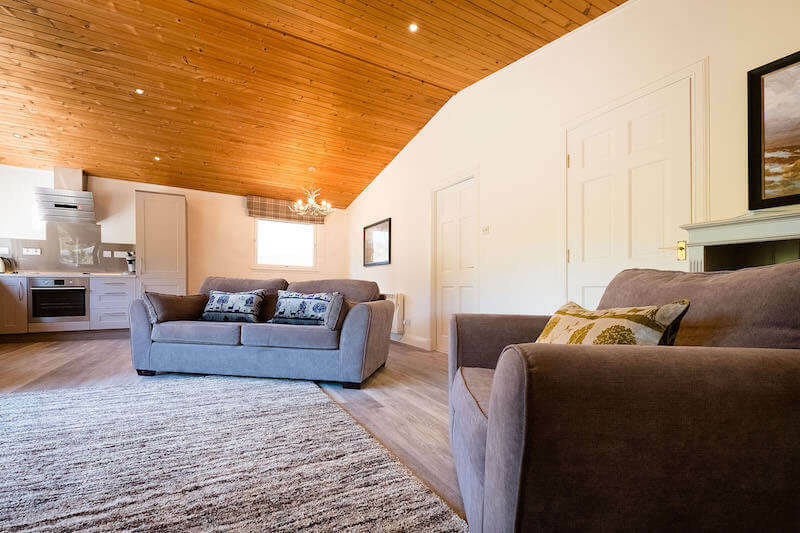 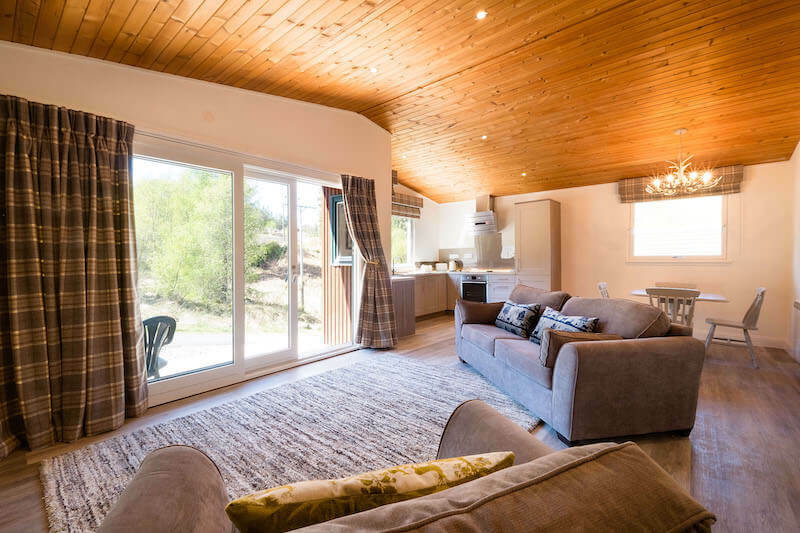 Portnellan, offers award-winning 4 and 5 star self catering accommodation sleeping up to 16 people within 1 to 8 bedroom chalets and cottages.